Celiac disease is something that can strike anyone of any age. Because of this, there are many children who are on gluten free diets. They have to be very careful to watch what they eat and are denied many of the kid-friendly food that children who are not gluten free get to enjoy. Kids can be fickle about what they eat, and when they have a dietary restriction, finding something that they will eat becomes even more of a challenge. That's why we've compiled this eCookbook filled with 7 Gluten Free Kid Friendly Recipes Everyone Will Love. This eBook is made for kids; there's a few pizza recipes, an ice cream sandwich, and grilled cheese. You will find something for every picky-eater and every kid (as well as those kids at heart). From pizza to sloppy joes to ice cream sandwiches, this eCookbook of 7 Gluten Free Kid Friendly Recipes Everyone Will Love is sure to help out any parent of a child who has dietary restrictions. Kids deserve the best you can make, and 7 Gluten Free Kid-Friendly Recipes Everyone Will Love is sure to help you make their meals delicious. Forget searching high and low for a gluten free dinner that your kids will eat. This amazing recipe collection has you covered. You will find fun and scrumptious recipes that everyone—kids and adults alike—will go crazy for. Download your free copy today! Download your Free Copy of 7 Gluten Free Kid Friendly Recipes Everyone Will Love! What is one thing most every child will love? Pizza. When going gluten free, many pizza options are denied you, and there aren't very many places that offer a gluten free crust. Luckily, 7 Gluten Free Kid Friendly Recipes Everyone Will Love includes a few pizza recipes that are perfect for those who have Celiac Disease or gluten intolerance. The Eggplant Pizza (pg. 6) (brought to you by Russ from The Domestic Man) is a great way to sneak some veggies into your child's diet. Made on a thick slice of eggplant, this pizza can be topped with your favorite pizza toppings like cheese, pepperoni, and sausage. Add even more veggies on top or let you kid create his own. With a vegetable standing in for the pizza crust, you don't have to worry at all about finding a gluten free pizza crust recipe. This recipe is naturally gluten free, which would make any mom or dad feel awesome about serving it to their child. Another great pizza recipe is the Deep Dish Chicago Style Pizza (pg. 11) from Nicole from Gluten Free on a Shoestring. This amazing recipe gives you instructions on how to make a great gluten free dough; you won't believe that this is gluten free. Just like other pizzas, you child can pick what he or she wants to go into the pizza, making it perfect for picky eaters to eat what they want to eat. With these personal pan pizzas, you can guarantee that your child will have a complete and full meal. These delicious dishes are sure to be a new family favorite; get ready to be making these at least once a week. Another great dinner recipe in this cookbook is the Cheeseburger Casserole (pg. 8). Cheesy and salty and perfectly savory, this amazing casserole dish is guaranteed to be a hit with your whole family. 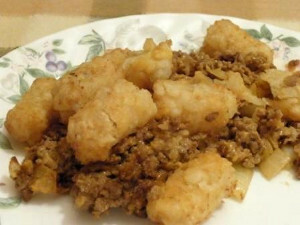 Tater tots crust the top of a delicious mix of ground beef, onions, and cheese. You can sneak other vegetables into this casserole as well as adjust the amount of cheese you want in it. Love cheese? Add more. Not so crazy about it? Don't be afraid to decrease the amount. This recipe is super easy to adjust and personalize. This recipe takes the family favorite grilling recipe and deconstructs to so that you can have all the taste of a great burger without having to worry about finding a gluten free hamburger bun. This is one recipe that will have the whole family craving more. Need something to feed you kids for lunch that isn't too complicated? Among the 7 Gluten Free Kid Friendly Recipes Everyone Will Love is a great one for a Pizza Quesadilla (pg 9). Another recipe that takes the classic pizza dish and revamps it. Instead of Mexican flavor, this quesadilla is a fun Italian dish. 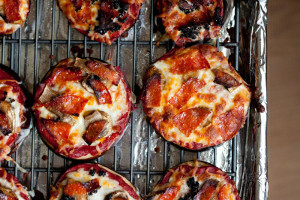 Your kids will love this inside-out version of a pizza. Get creative with what you fill it with. When cooled, this wonderful dish great for school lunches since you can eat it cold. This would be a fun surprise to put in your kid's lunch box. Pair it with some delicious fruits and veggies to make it a complete meal. Your kids are going to absolutely love this amazing, fun recipe. Also in this cookbook is a great recipe for Kicked-Up Grilled Cheese (pg. 15). 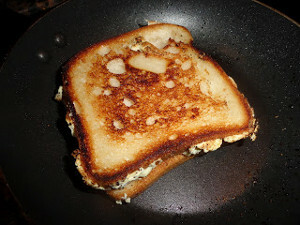 An easy one to master, the grilled cheese recipe in this dish is made with vegan cheese and a dash of garlic powder to give it a unique and interesting flavor. This is not your typical grilled cheese; even adults are going to want to make this recipe for lunch. Simple, easy, and quick to make, this recipe will be a go-to lunch recipe. Follow the recipe and your kids are going to go crazy for some amazing gluten free grilled cheese. Taylor from Gluten Away even lets you know what kind of bread you should use for optimal flavor. This is one recipe that you won't want to miss. Sloppy Joes are a classic recipe that everyone loves. Included in the 7 Gluten Free Kid Friendly Recipes Everyone Will Love is a Diet Soda Sloppy Joe recipe (pg. 13) that will rock your world. Adding diet soda to the beef and sauce gives this recipe a sweet and tangy flavor that is unmatchable by any other spice. Serve this awesome recipe with a leaf of lettuce and some gluten free bread or with some cheese on a bun. No matter how you present this amazing dish, everyone is sure to fall head over heels in love with it. There is no way you are going to have leftovers of this awesome ground beef recipe so don't worry about making too much. People are sure to find away to eat seconds (and thirds) of this sloppy joe recipe. Finally, what would a cookbook be without a dessert? Homemade Chipwiches (pg. 16) is a wonderful, kid friendly dessert recipe that is going to make your little ones smile. 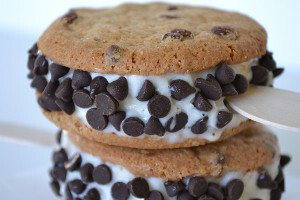 Ice cream sandwiched between two cookies is the coolest (literally) dessert around. Roll the sandwiches in chocolate chips for a super sweet treat. This one dessert has everything kids love: chocolate, ice cream, and cookies. Make this easy ultimate dessert whenever your child deserves a special treat. Treat yourself to one as well. This will cool things down in the summer and keep the winter months sweet so you're free to make this recipe all year round. Our selection of free recipe eCookbooks is the ultimate resource for gluten free cooking. Each eCookbook includes a collection of recipes on a theme. Whether it's eating on a budget, chicken casserole recipes, restaurant copycat recipes, or our favorite dessert recipes, FaveGlutenFreeRecipes.com has you covered. You can easily download and print out each eCookbook for easy reference while cooking. If you are having trouble downloading our free eBooks, visit our FAQ page here: How to Download our Free eCookbooks. Access to our recipe large collection full of gluten-free recipes, including budget friendly and quick and easy recipes. This is a lifesaver! Kids are already picky, then add in allergies and you're left with an empty plate. Awesome ideas, thanks!